Learn to make Rajasthani Besan Ke Cheele Ki Sabzi | Chickpea Pancake Curry recipe with step by step video tutorial. 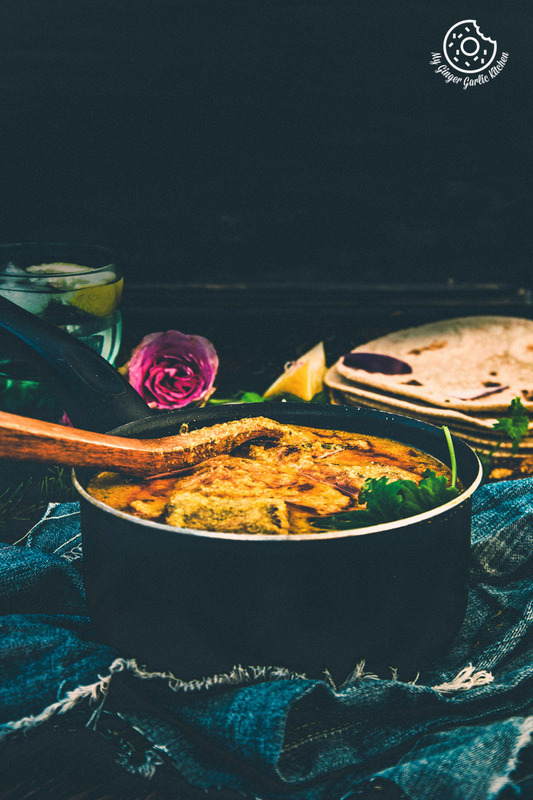 Besan Ke Cheele Ki Sabzi is a delicious and exotic curry made with chickpea flour pancakes. Later pancakes are cooked in a spicy and tangy yogurt gravy. This week is warmest of this season. Though it is windy, but I don’t mind as long as the sun is there to provide the needed warmth. Like this week itself, this weekend prediction says that it’s gonna be warm — like real spring and that is enough reason to get me thrilled. Little ‘A’ would definitely love this plan, because she is so fond of beaches and picnics. So much so that a couple of times she even wanted to sell me an idea to have a picnic on the frozen lake. I would have considered it, but an outdoor picnic at MINUS 15 degrees Celcius…OUCCHHH! 😉 These little ones are really hilarious sometimes. Let’s talk about today’s recipe. 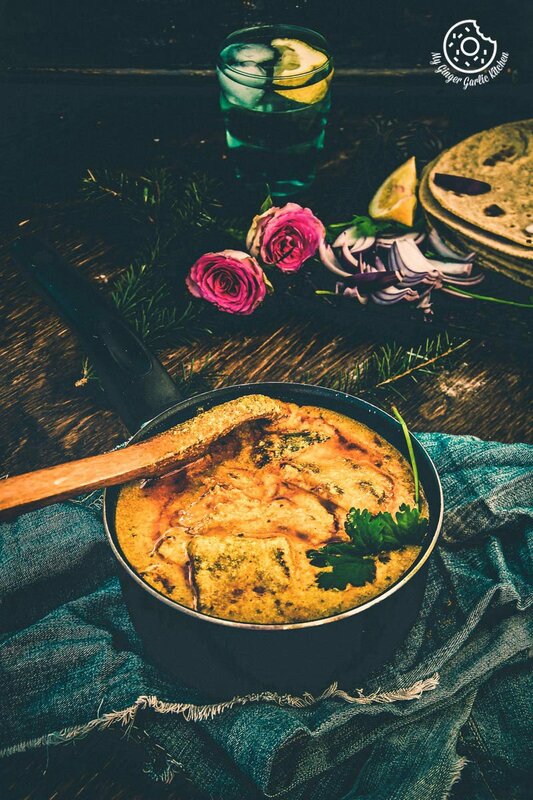 The recipe is ‘Besan Ke Cheele Ki Sabzi’ aka ‘Chickpea Pancake Curry’. Sounds appealing? This is another dish coming from my homeland. And this delish curry is unparalleled in terms of everything measured in any dish — the texture, the method, the ingredients, and the taste. THIS CURRY IS MADE WITH PANCAKES. HAVE YOU HEARD ABOUT ANYTHING LIKE THIS? I have asked many of my Indian and international friends, and none have heard about this curry. 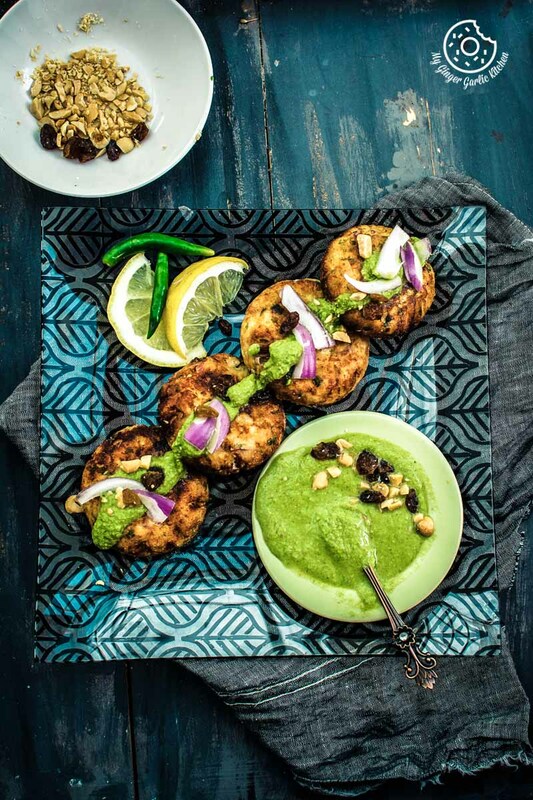 Furthermore, every time I made this for a get-together at home, my guests adored it. It was so hard for them to believe that this curry is made with ‘Besan Ka Cheela’. 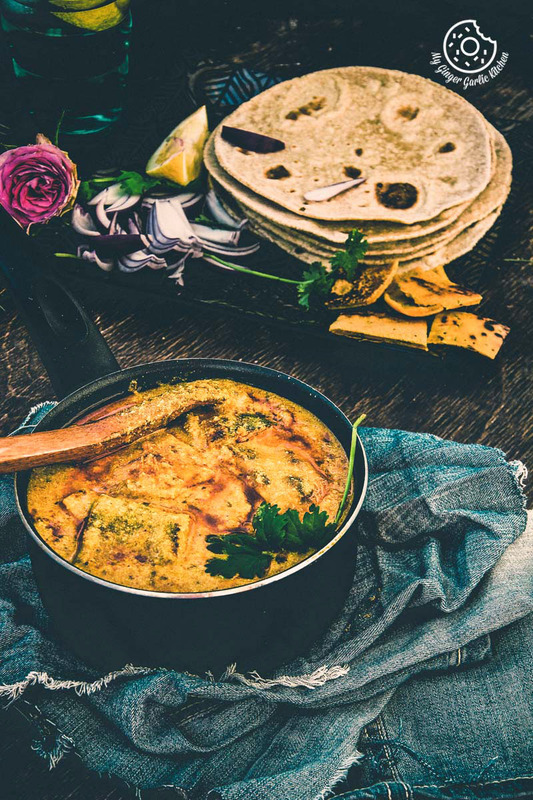 Besan Ke Cheele Ki Sabzi or Chickpea Pancake Curry is a delicacy of the Indian state of Rajasthan. 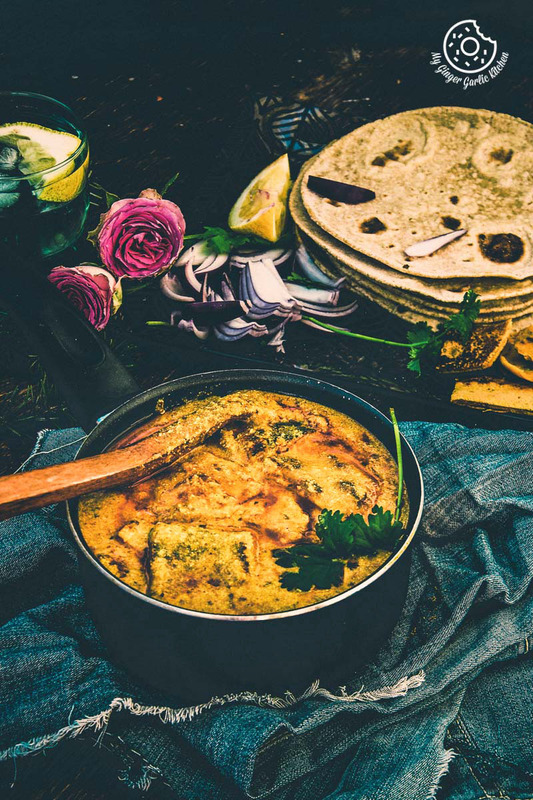 In this curry, chickpea flour pancakes are cooked in a spicy and tangy yogurt based sauce. 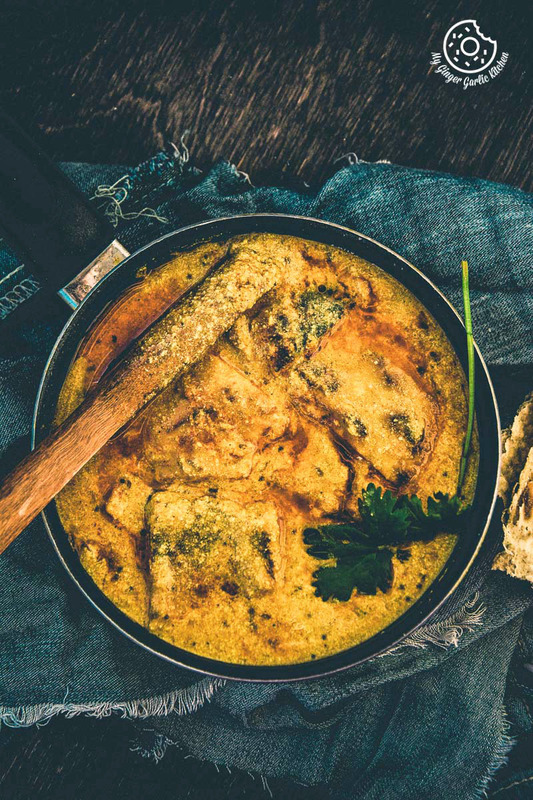 This curry is similar in taste to Besan Gatte ki Sabzi. So anyone who made and loved my Besan Gatte ki Sabzi then they can’t resist this. Make it with chili or without chili, this is gonna win your family’s hearts. This curry surely is a party-pleaser. 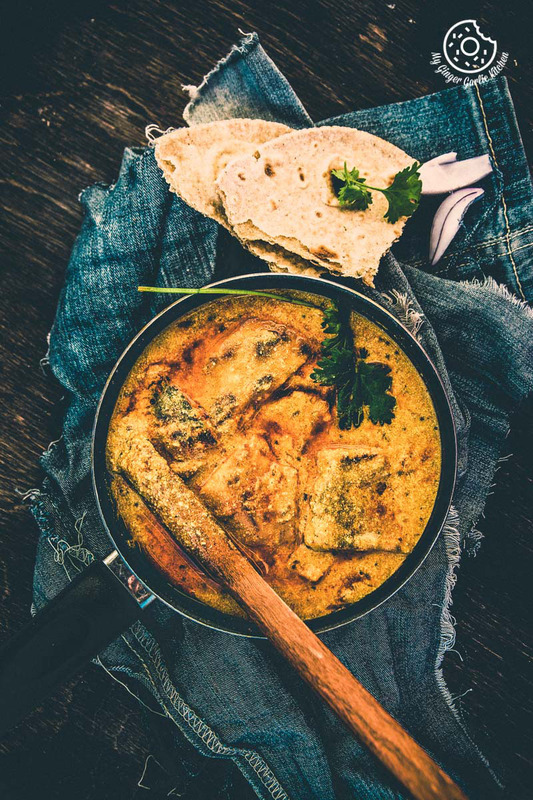 And if you will make this delightful curry for your guests, they will never forget the taste of this exotic and aromatic curry. 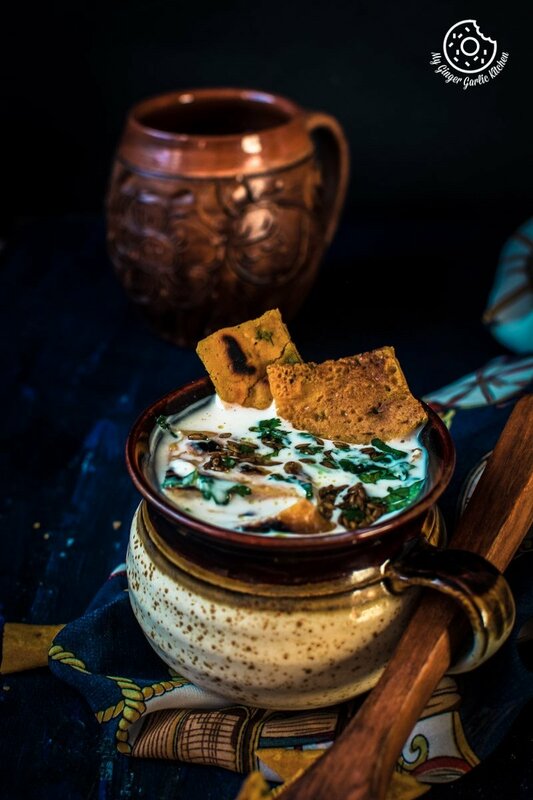 If you love this curry then stay tuned for my next recipe, which is another Rajasthani super delight and which is also made with ‘Besan Ka Cheela’. And not to mention, VERY DELICIOUS. 1. 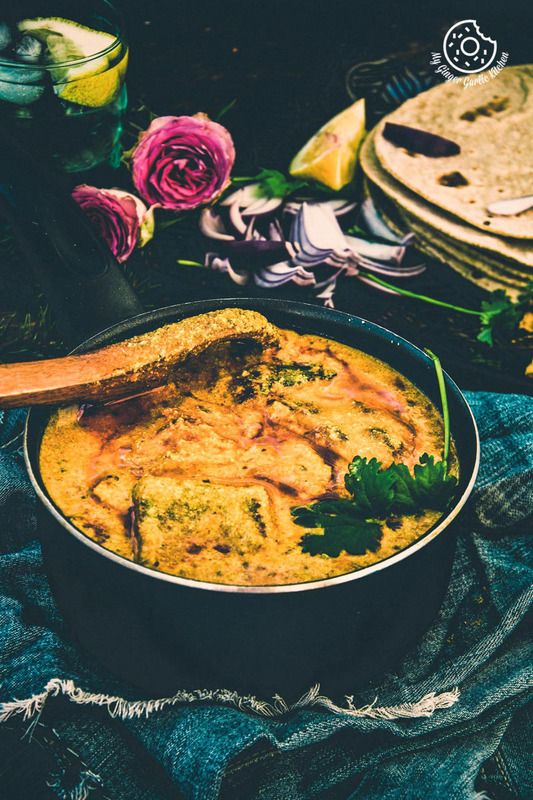 Add gram flour, asafetida, cumin seeds, red chili powder, turmeric powder, garam masala powder, salt, ginger-garlic paste, lemon juice, chopped coriander, and oil to a large mixing bowl. 3. Add enough to make a smooth, lump-free and thick batter as shown in the video above. 1. Heat a nonstick pan and brush it with oil. Turn to heat to medium and pour a ladle full of batter on the pan. 2. Spread it evenly with the back of a ladle to make a thin pancake of approx 8-9in in diameter. 3. Cover and cook for 1-2 minutes or cook till the cheela turns golden brown in color on one side. 4. Flip it over and drizzle some oil around the cheela. 5. Cook on medium heat for another minute or till cheela turns golden in color on the other side. 6. Transfer it to a plate and repeat the same with the remaining batter. 7. Keep them aside to let them cool. 8. Using a scissors, cut cheelas into desired shapes. Set them aside. 1. Heat 2 tbsp oil in a skillet. 2. Add asafetida and cumin seeds. When the seeds start to splutter add finely chopped chili, grated ginger, grated garlic and sauté for 2 minutes. 3. Add coriander powder, turmeric powder, red chili powder along with 2 tbsp water. 4. Stir well and let it cook for 2 minutes. 5. Add gram flour and mix well. Cook it for 2 more minutes. 6. Now lower the heat and slowly add the whisked yogurt. 7. Mix well and continue stirring till it comes to a boil. 9. Mix well and cut cheela pieces and cook covered for 5 minutes; stir occasionally. 10. Turn off the heat. 11. Add chopped coriander and mix well. 12. 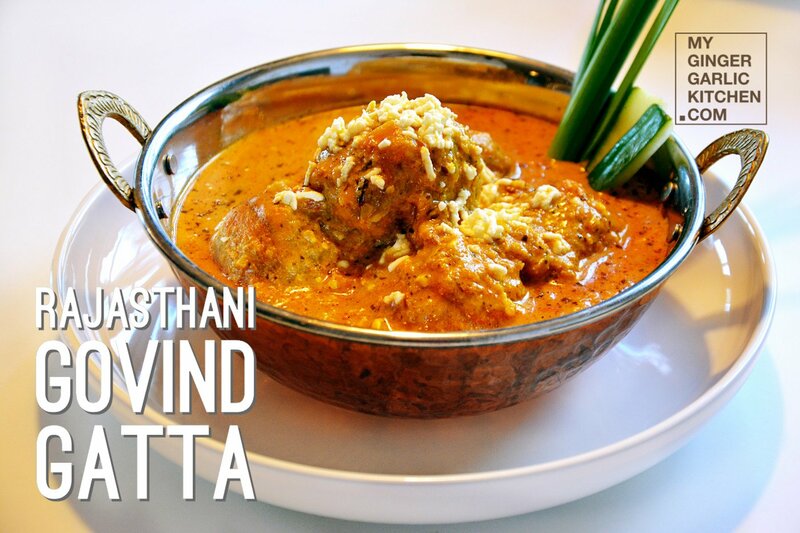 Serve hot with roti, plain paratha, or steamed rice.